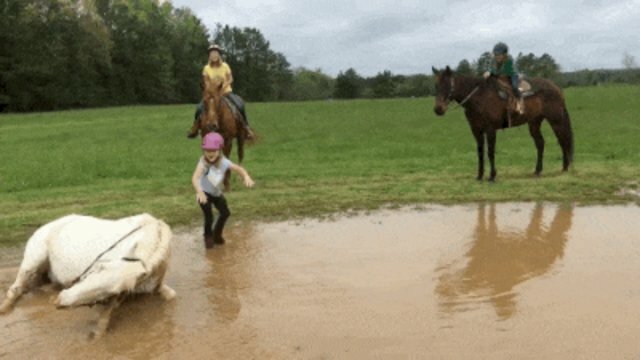 Things got dirty in a hurry for one little girl out for a ride on her pony. 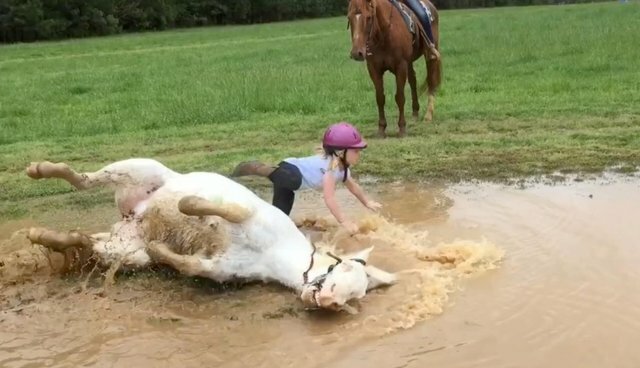 Turns out, the sweet white steed wasn't really much in the mood for walking - especially after stumbling upon a perfect puddle for some happy wallowing. Don't worry though, he "invited" her along, too. 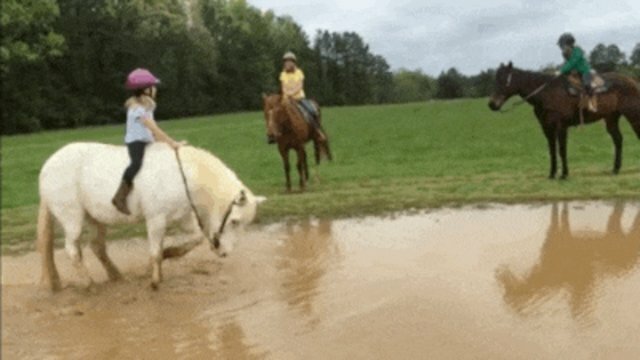 What began as a few playful kicks at the water soon evolved into a full-on pony mud bath. But apparently in all the excitement he forgot all about the tiny rider atop him before going in for more. We're pretty sure she noticed though. 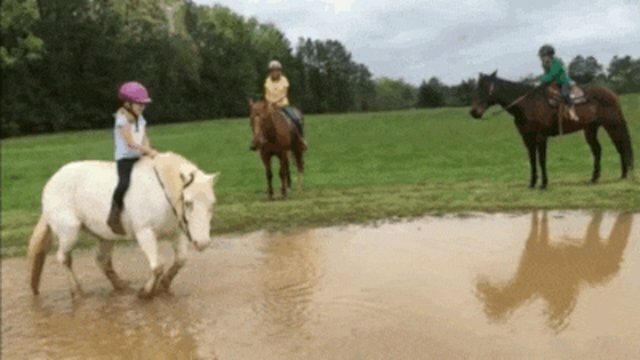 Fortunately, the little girl didn't seem to mind the unexpected stop - or the sudden splash. In fact, after getting over the initial shock, she's as tickled as anyone by the impromptu mud bath. Even a dog decided to join in!